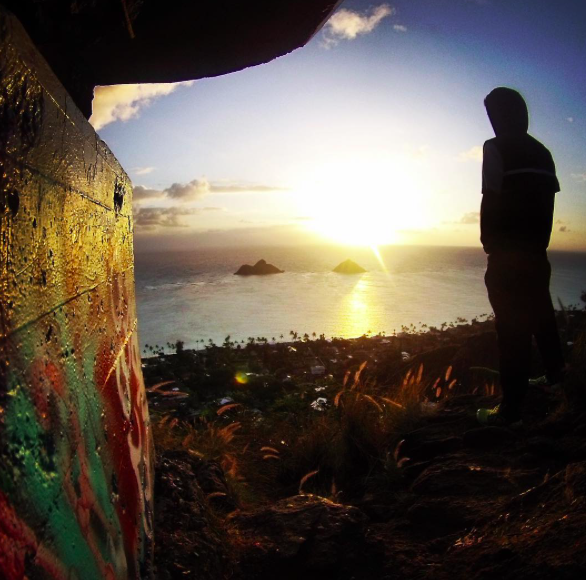 What to expect: One of the most popular hikes on Oahu, it is safe to say that everyone loves the Lanika'i Pillbox hike (also known as Kaiwa Ridge Trail). Probably because the hike is easy, short and it boasts straight up beautiful views of Oahu's windward side. Being that this hike is so well known, you should plan on it being fairly crowded, no matter the time of day. One of the best places on the island to watch the sunrise or enjoy a snack! The trail starts on Ka’elepupu Drive (kaelepupu). Follow the obvious path up the hill to access the hike. A dirt trail will lead you to the pillbox's.